Best rollers that I ever have.. Fit is very comfortable! I did not even need to broke them for couple days. Just bye half size smaller then your regular size. Fast speed and lots of fun and pleasure! Great skates would recommend. I love how fast and smooth they are! Huge wheels --not for urban skating. I love going fast as much as anyone else -- but unless youre on a speedtrack or going flat, long distances, these skates may not be for you. The boot is comfortable, but the top buckle wont easily fit as far into the latch as id like it to go. You have to really do some interesting manipulations to get it in there for a super snug fit. Lame. HuGe. But the problem are the wheels. They are so big that you've got to cross ypur foot so far over the other to turn its just not cool. Jumping, slowing down, everything except going in a straight line is encumbered by how far the wheels stick out in front of, and behind, your boot. These huGe wheels also have semi-dangerous qualities, imho. If you like to lean back when youre stopped, or when youre skating downhill (i naturally do this from skating for so long) they nearly put you on your ***. The back wheel rolls backwards and pulls you down -- and fast. I had to catch myself and looked like a totaly goofball in front of people twice on the first day. The worst, unsafest part (which made me return them) is the "slippy" quality of the Rollerblade wheels. Omg, when youre turning wide or on an angle, they slip like a car on ice. Very, very unsafe. No sticking at all, poor grip. And the designers mstve been gping for "reptilian" -- out of the box my first impression was EW. Q: Would the brake it comes with fit with 90mm wheels? A: It should be OK but I wouldn't know for sure without trying, worst case scenario you may need to shave some of the brake off. Q: Can I order size 5.5? Q: Should these fit snug, closer in toe box? Or should they be longer like hiking boots? 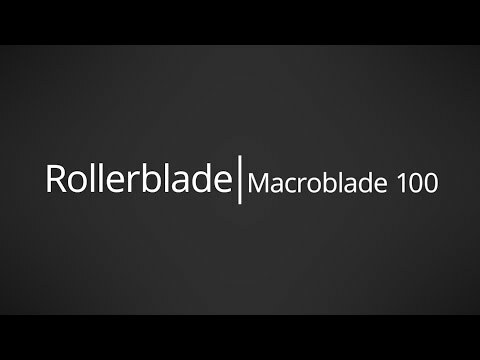 A: The best fit in a pair of skates is a nice tight fit, like a pair of athletic shoes. You don't want any extra room as this will take away from the performance and can lead to blisters and sore feet. The best fit right out of the box is the toes just touching the front of the toe box as long as the toes are not curled or crushed. A skate can break in up to a 1/2 size from how it fits the first time tried on and can take about 6 times out skating to fully break in but once they are broken in they will fit around your foot like a glove. Q: Can a smaller wheel also be put on if desired? A: Yes, this can accept smaller wheels. I wouldn't recommend going too small though, a 90mm wheel would be fine but if you go too small with the longer frame mixed with the smaller wheel will make for a wider turn radius. Q: Are these mens or womens skates? A: These are women's skates and are sized in US women's sizes. Women's specific inline skates offer a lower cuff to accommodate a woman's calf muscle better than a men's skate. Q: The picture doeskin show the break, but the description shows that is include. 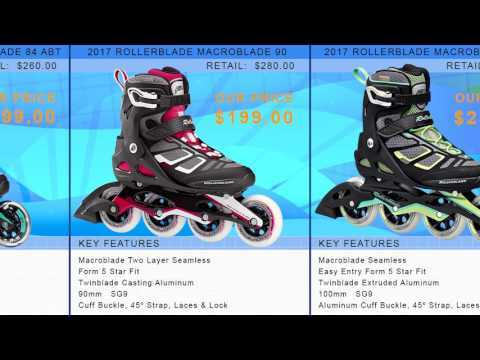 So, im kind of confuse, does the skates come with breaks?? 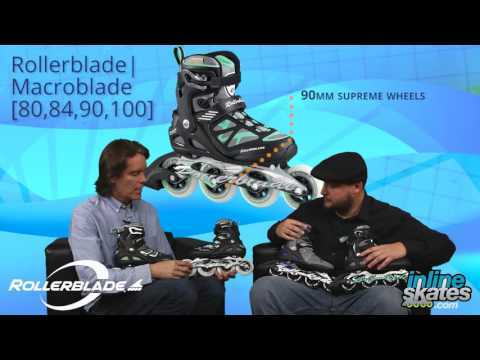 A: Yes, the skate will come with 1 brake in the box with all the hardware needed to attach the brake. Most skaters will apply the brake to the right skate but it's really personal preference as the brake can be attached to either skate.